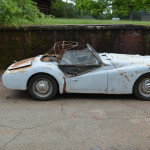 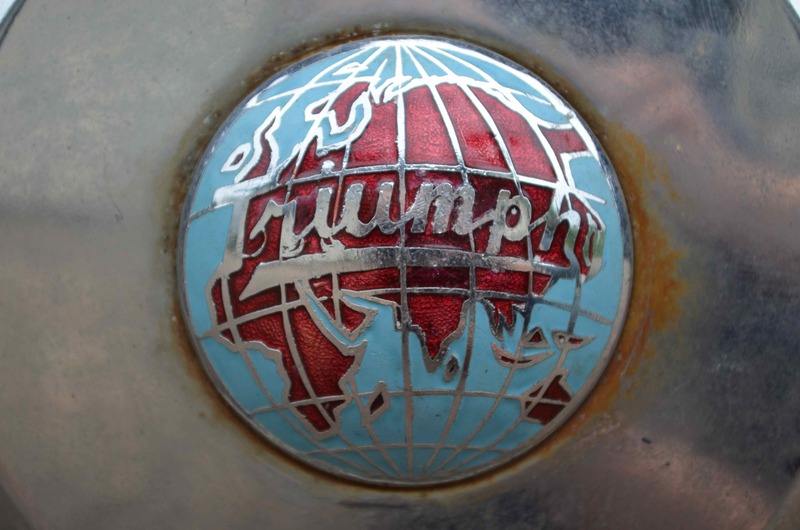 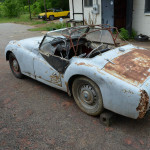 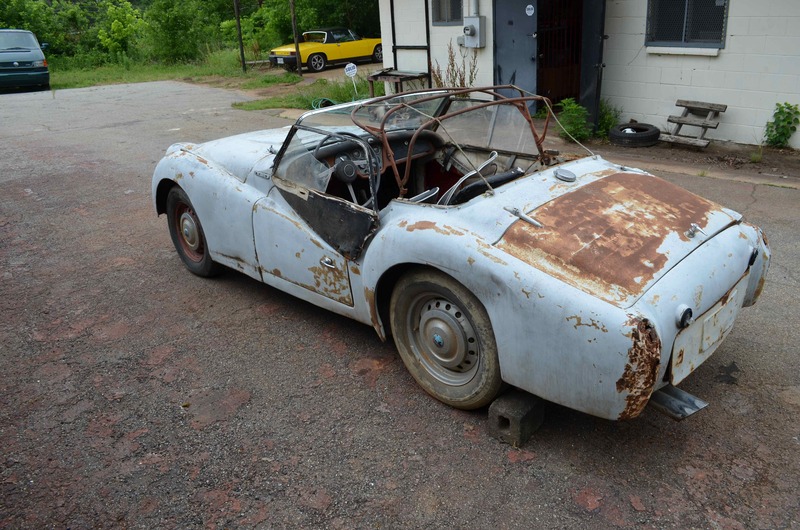 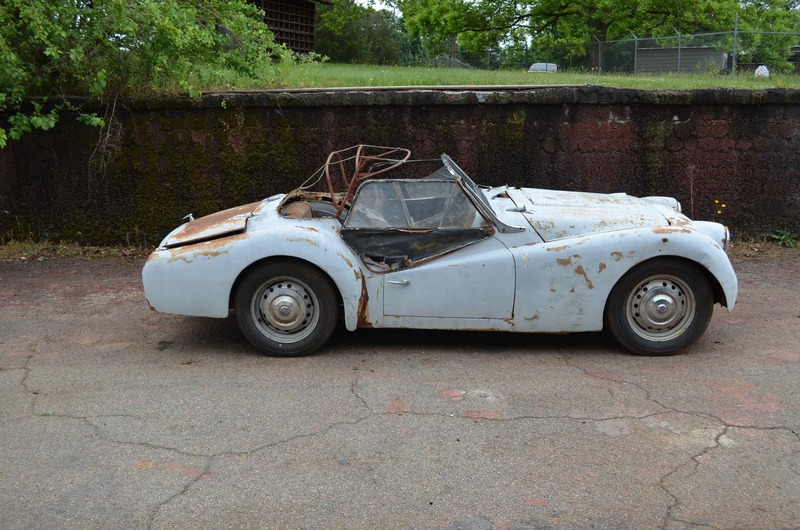 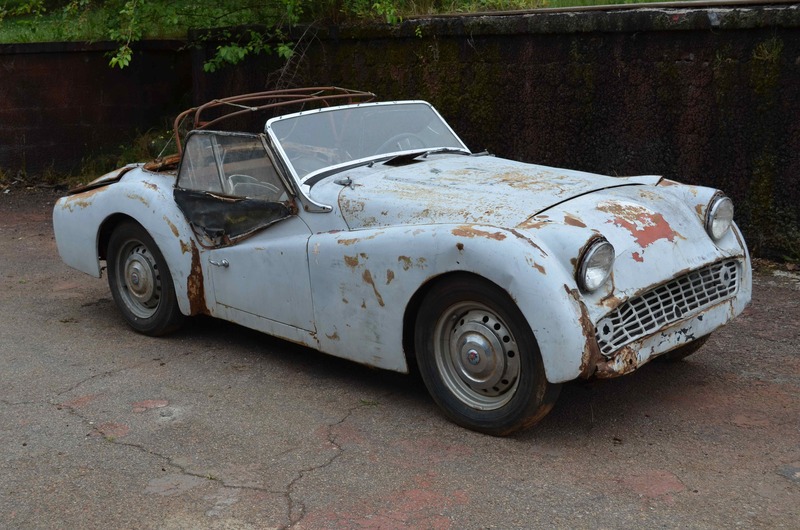 Up for auction is a 1958 Triumph TR3A that we found tucked away in the mountains of North Georgia. 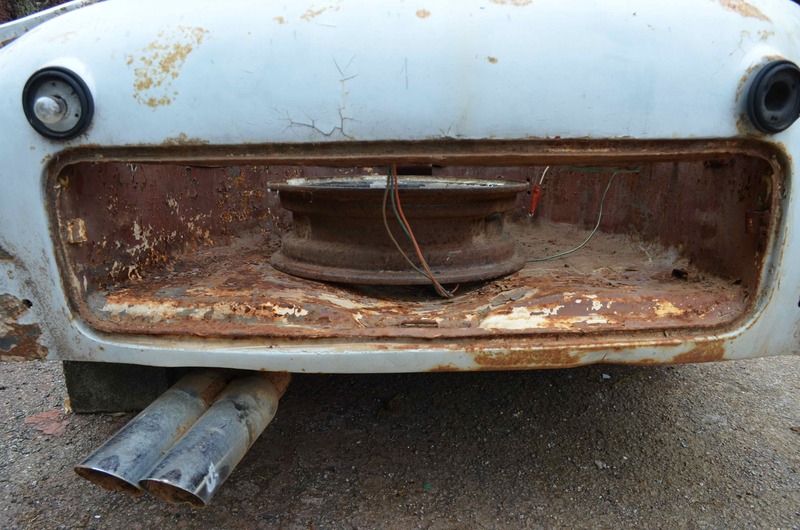 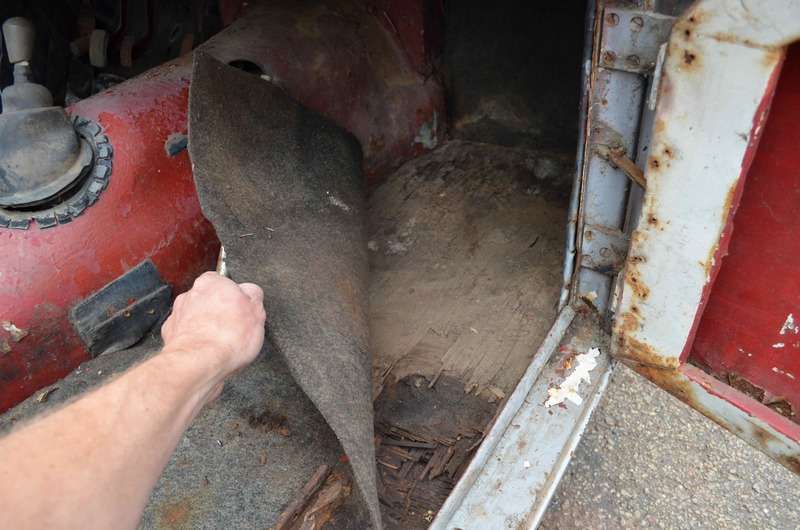 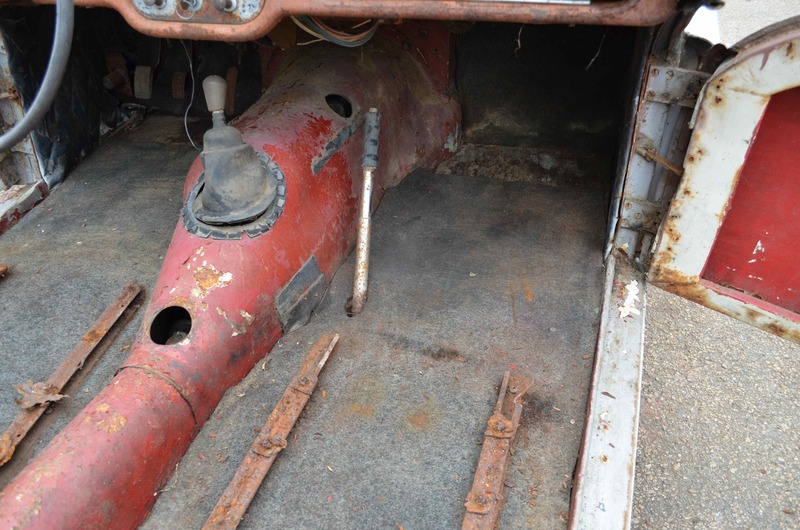 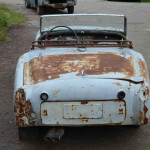 While it has been off the road for quite some time most of the parts are present to start a full restoration. 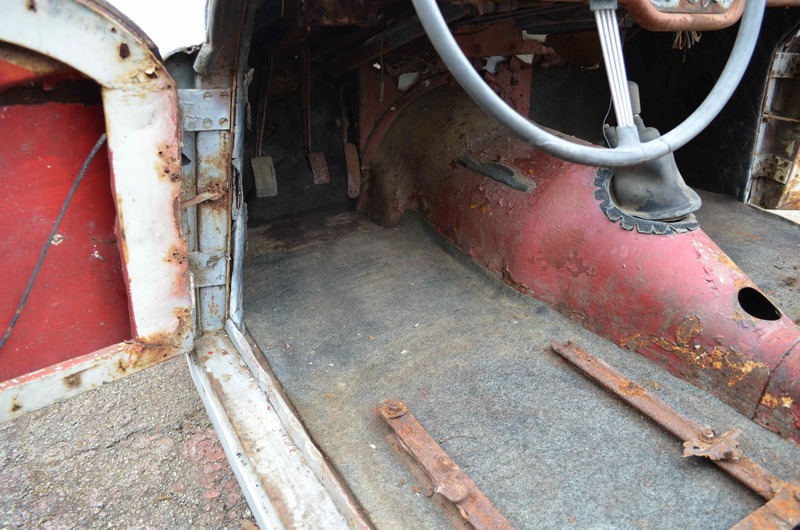 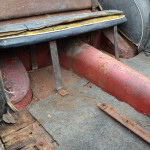 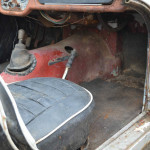 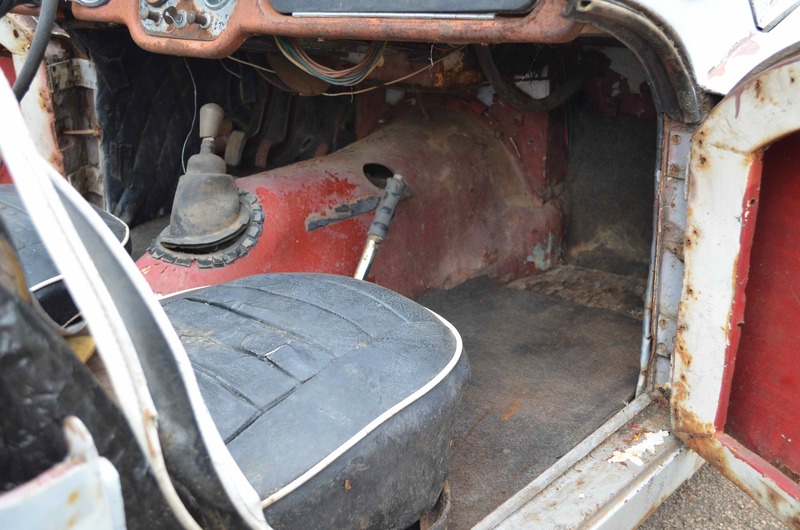 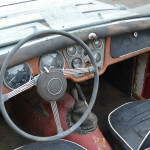 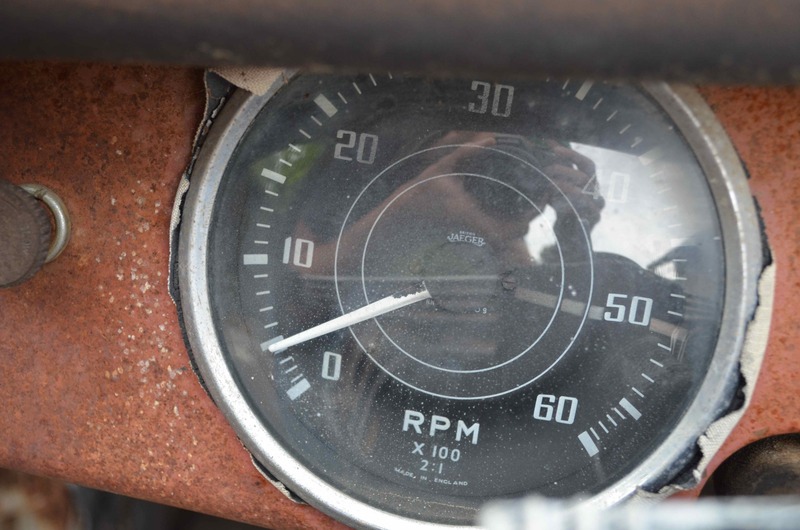 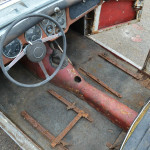 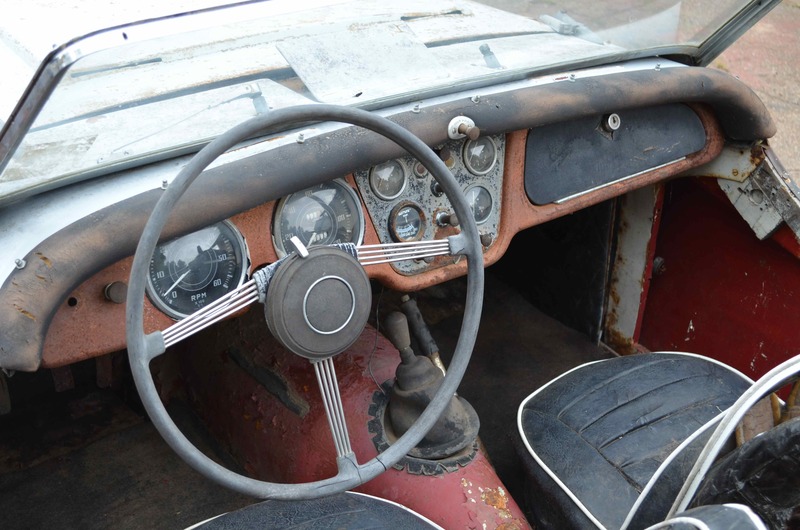 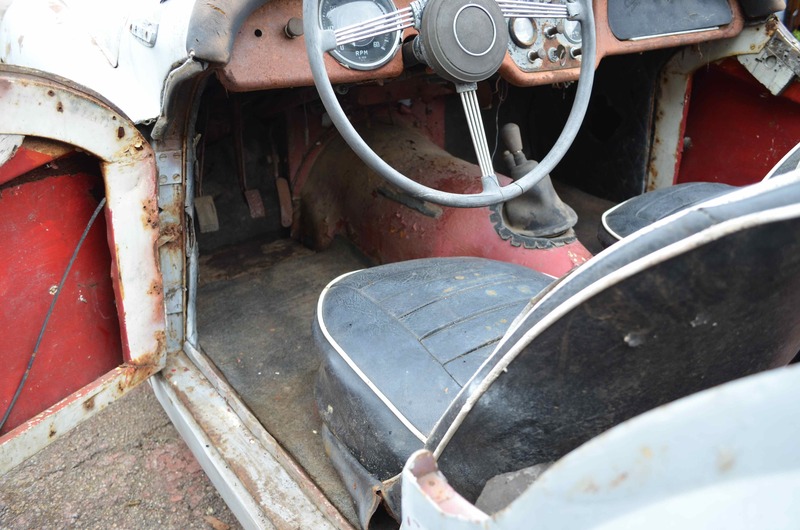 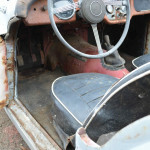 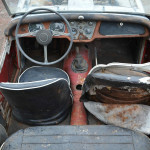 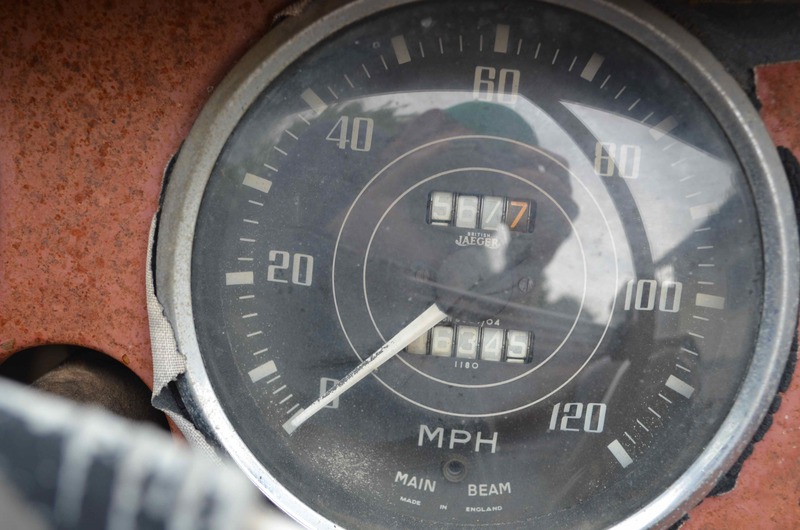 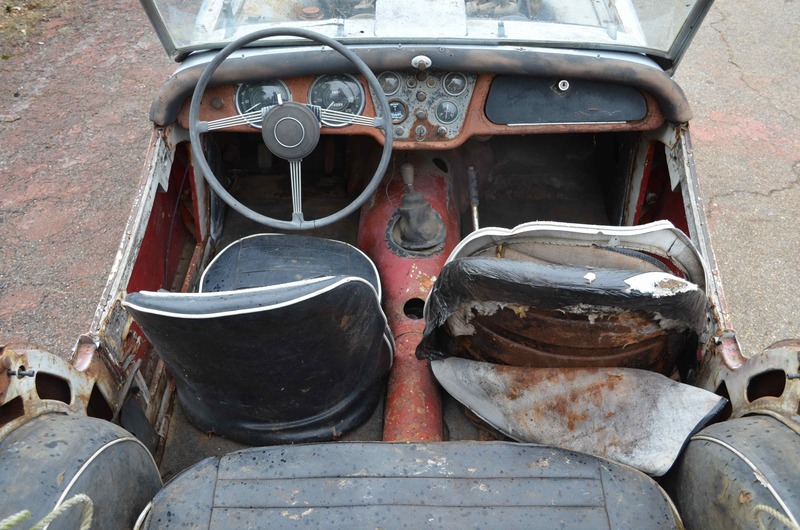 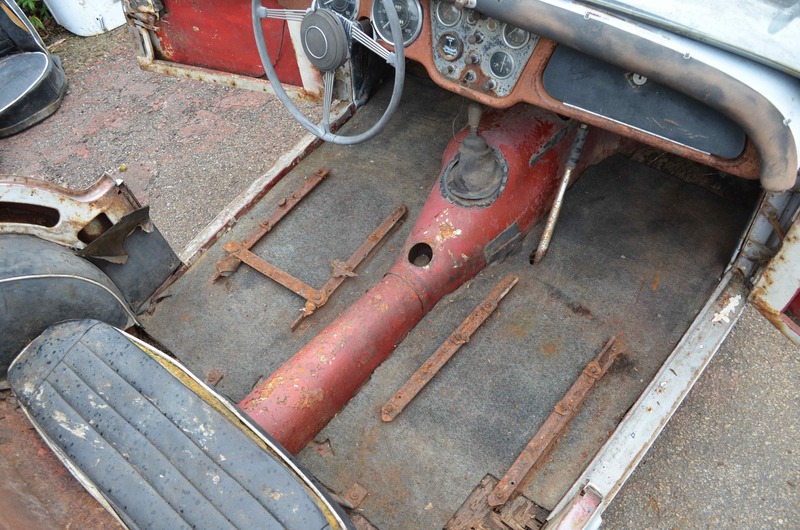 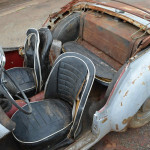 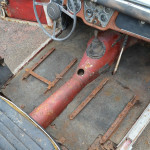 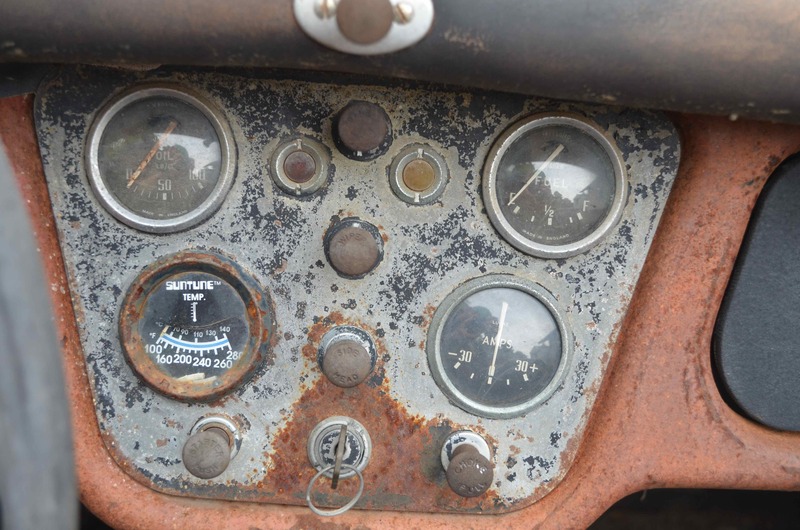 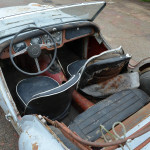 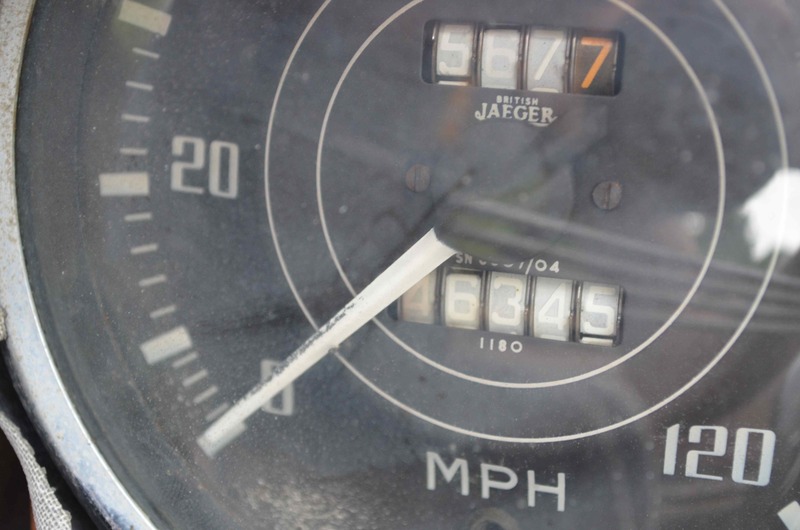 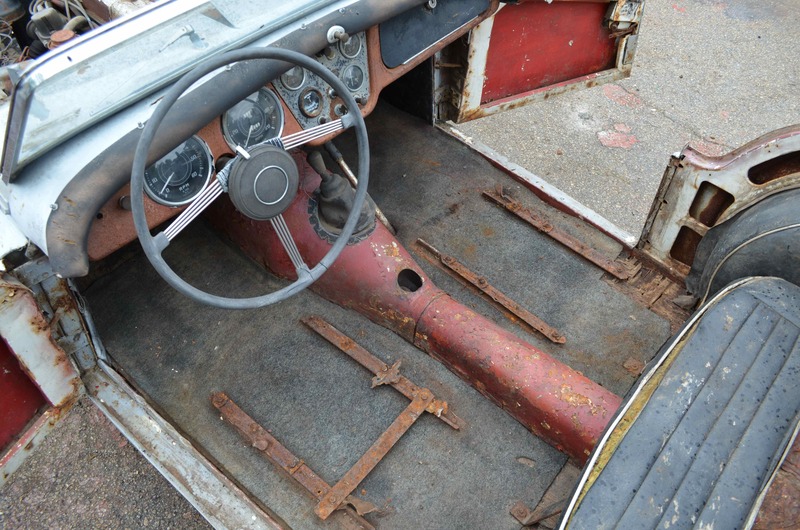 The interior is remarkably intact with a complete set of Jaeger gauges, all pull and push knobs with the starter key, original banjo steering wheel with ignition adjusting horn button and original seats and sill leather. 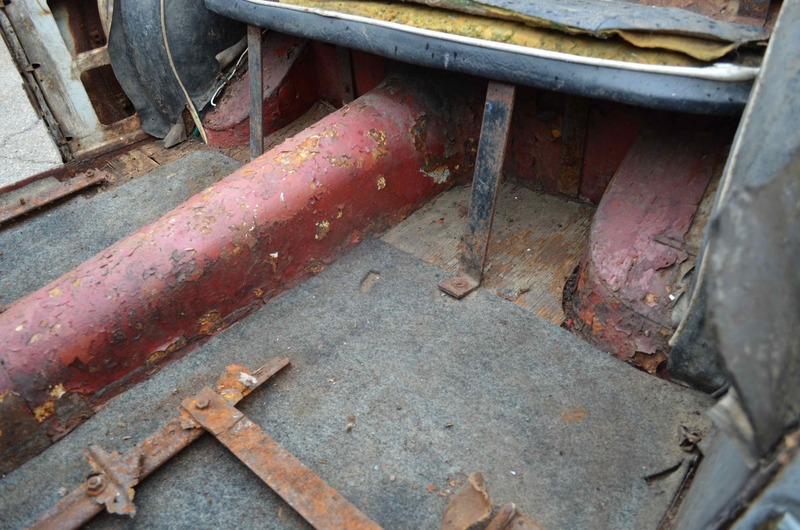 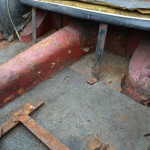 The wooden floor boards are still intact as is the carpet padding. 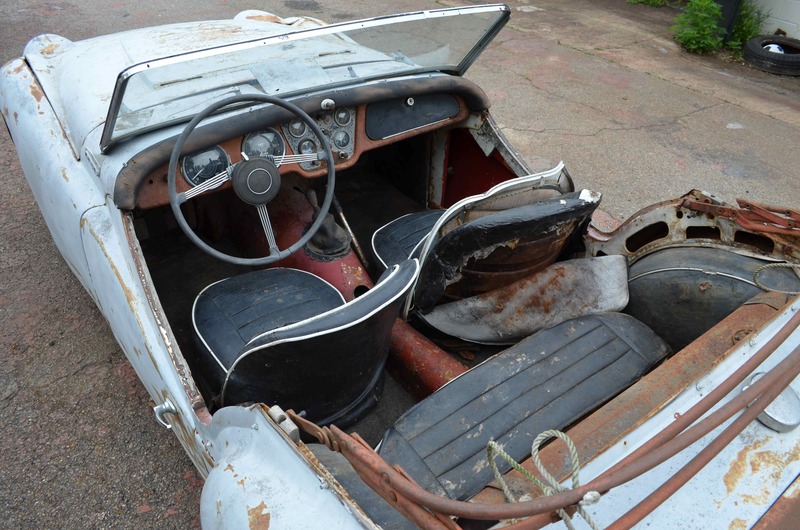 The original convertible top frame is straight and in working condition as are the side skirt frames. 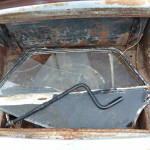 The windshield frame is in great shape with very little pitting in the chrome although the driver’s side mount it missing. 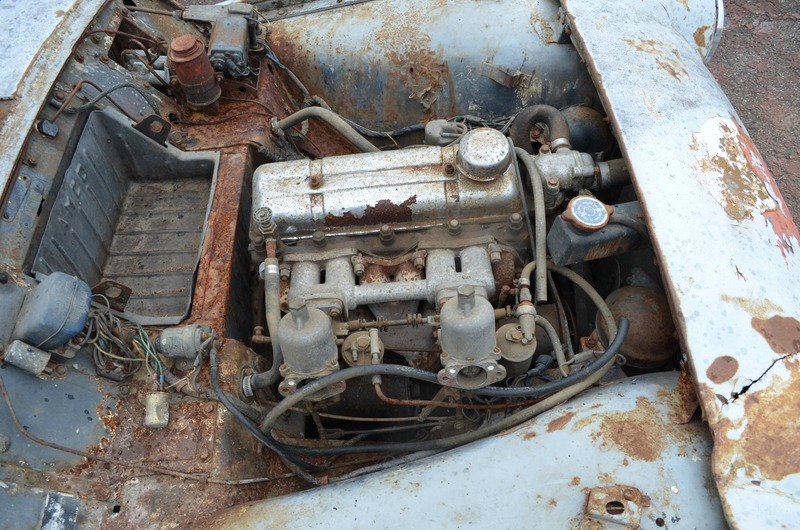 What we believe is the original 2.0 liter four cylinder engine is all there and is not seized. 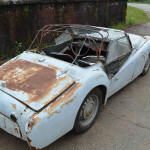 We have not tried to start it as it will likely need a complete rebuild. 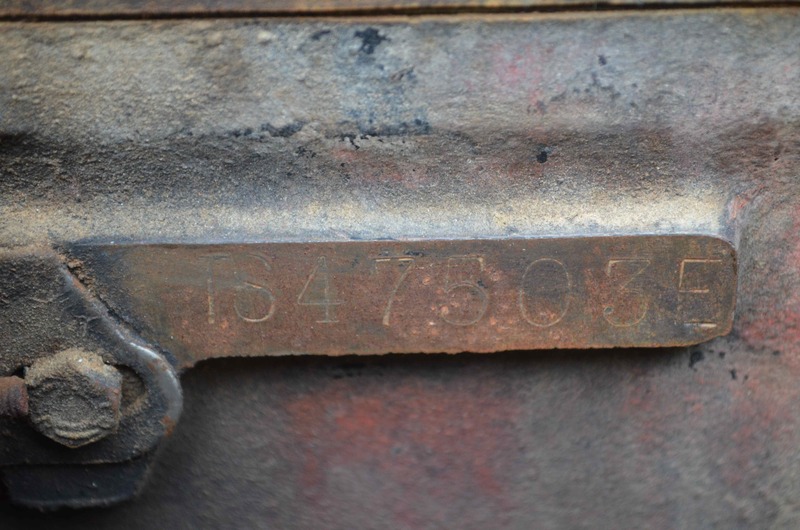 See below for the engine and body numbers. 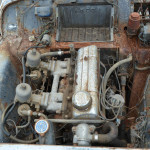 Also present are what seem to be the original twin side-draft carburetors with linkage. 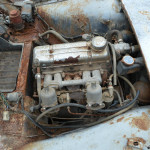 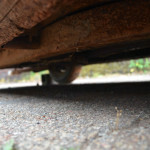 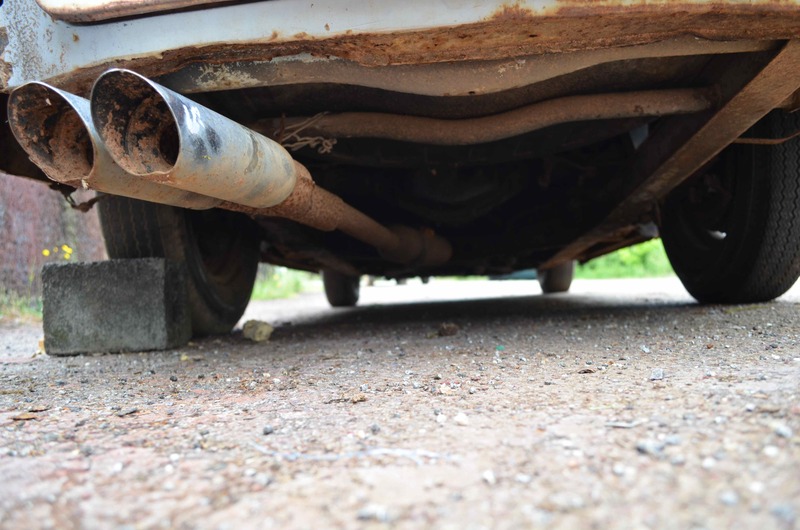 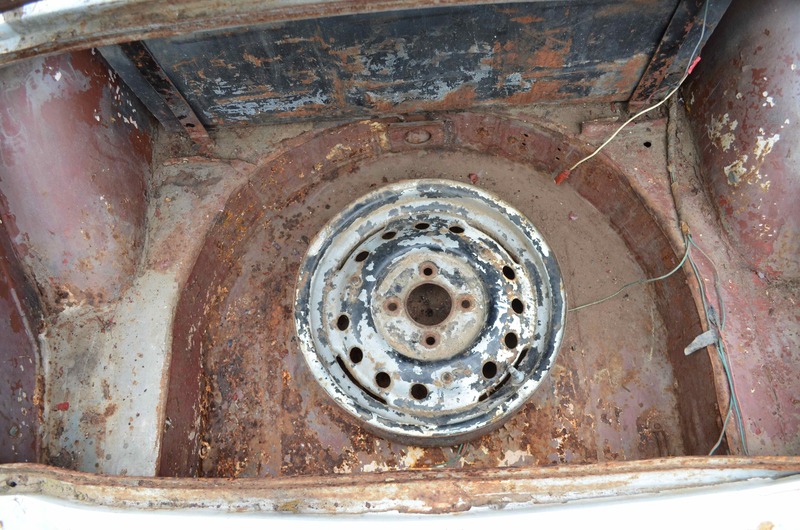 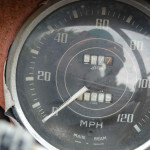 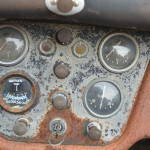 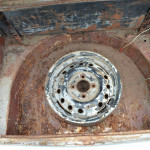 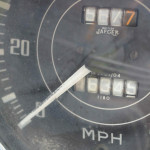 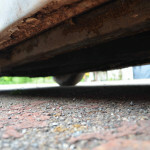 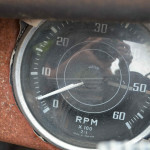 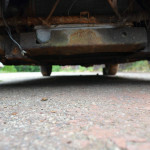 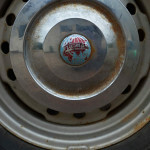 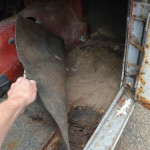 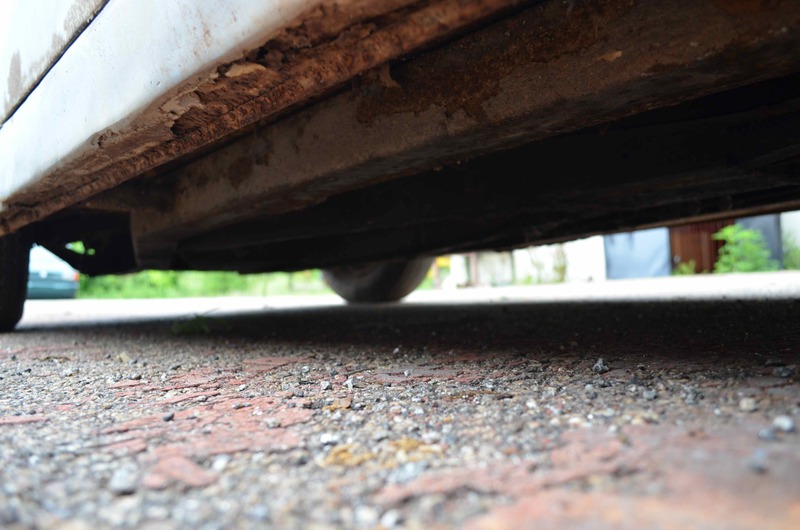 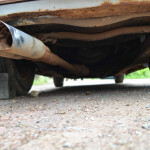 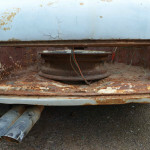 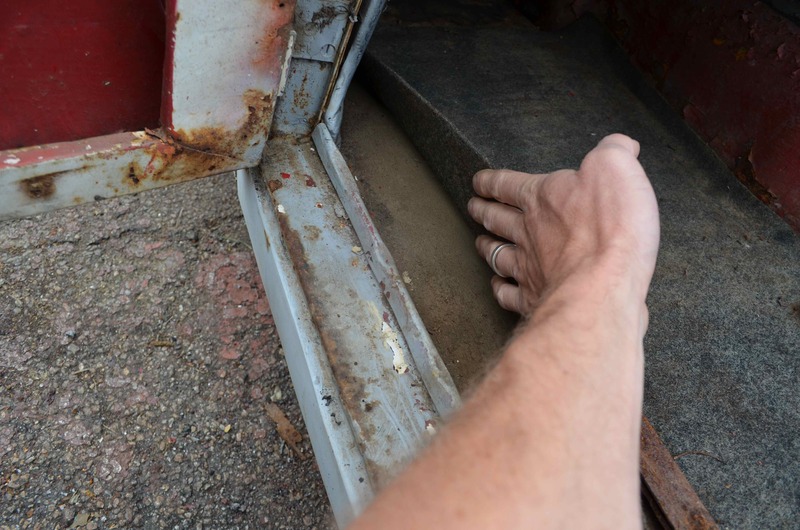 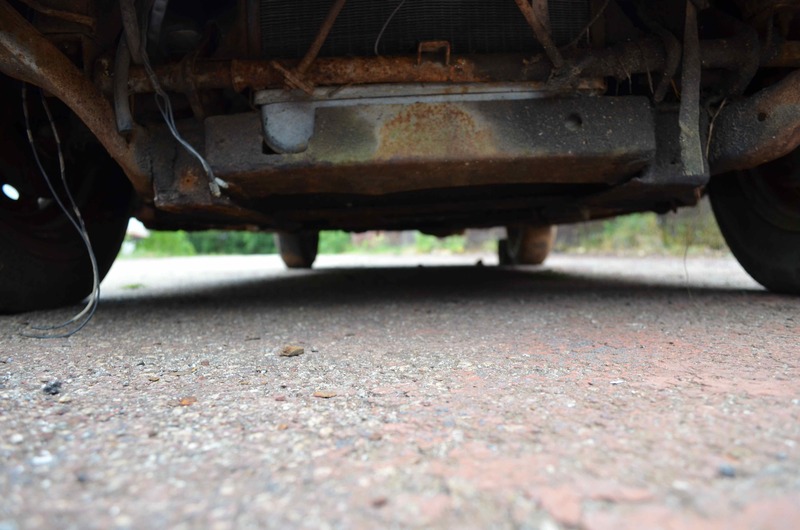 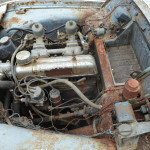 The transmission is intact and engages into all four gears and the fuel tank is complete without any major rust holes. 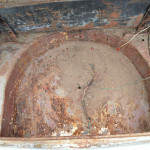 The body is intact although in need of plenty of work. 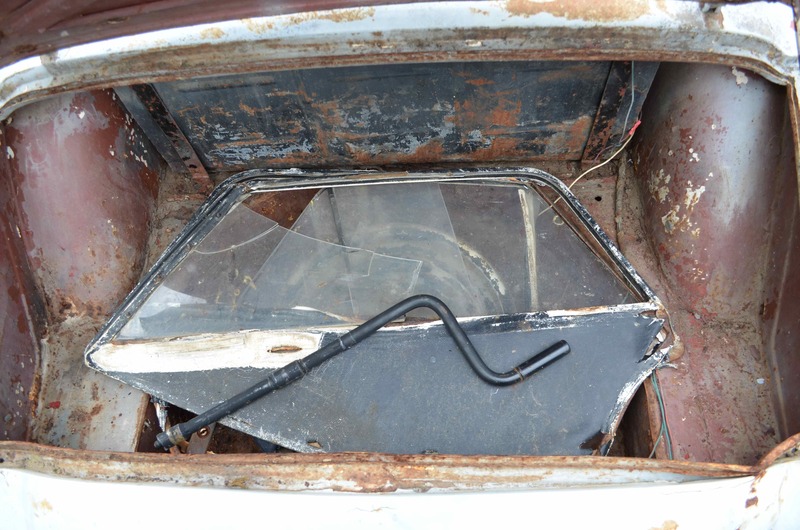 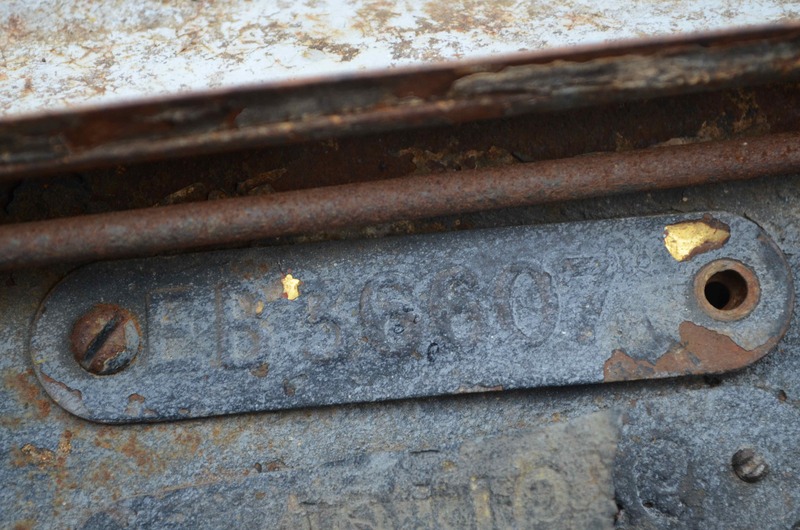 More importantly the frame is solid and not rusted through. 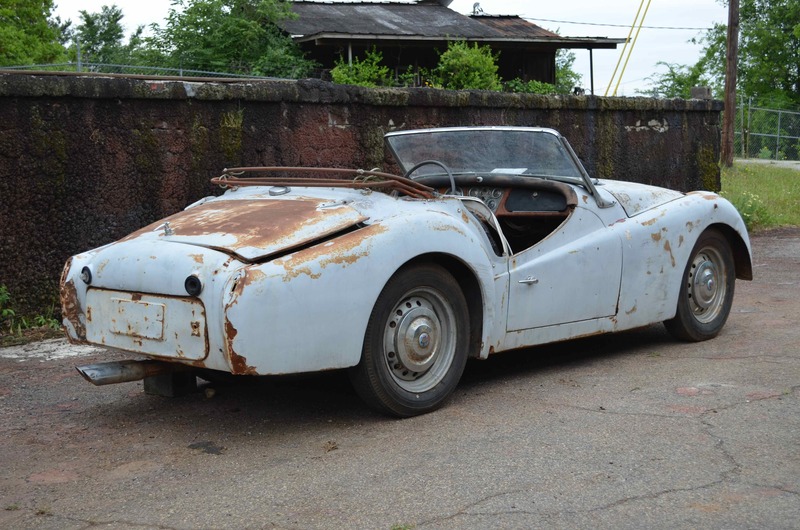 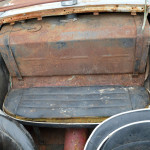 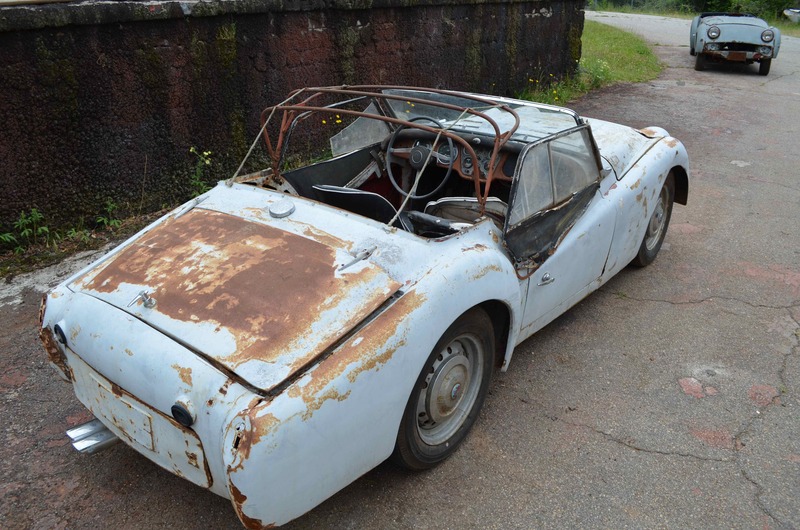 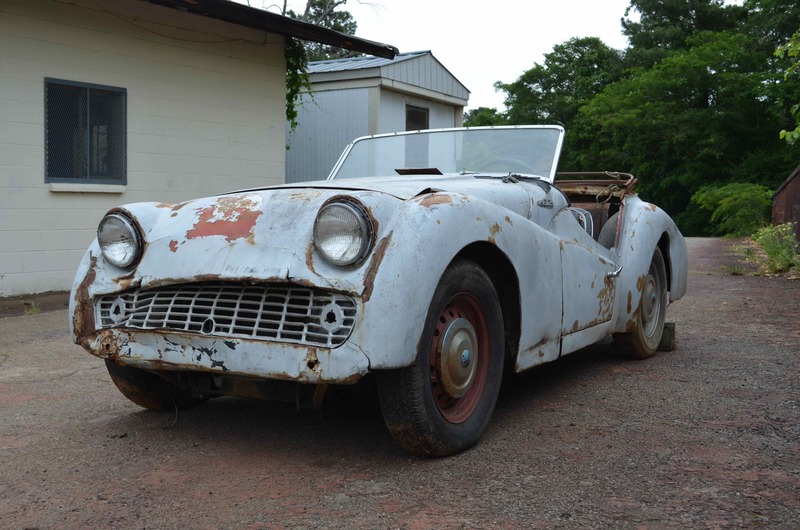 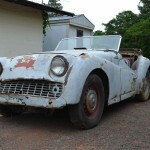 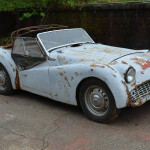 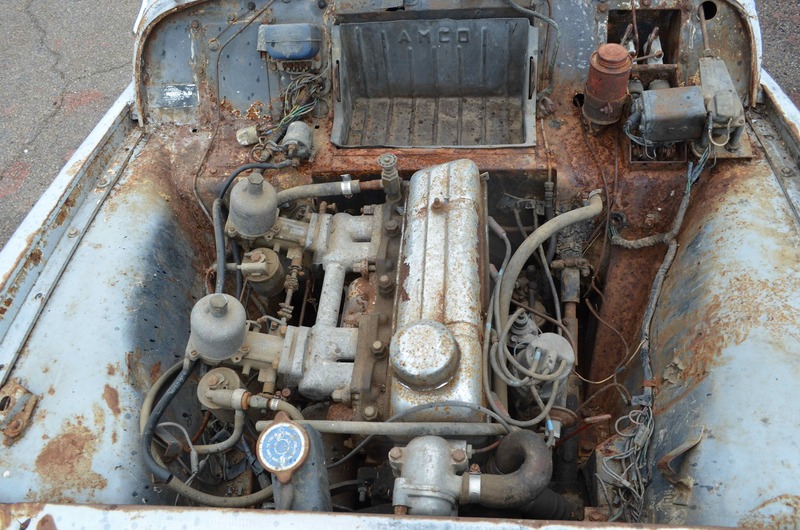 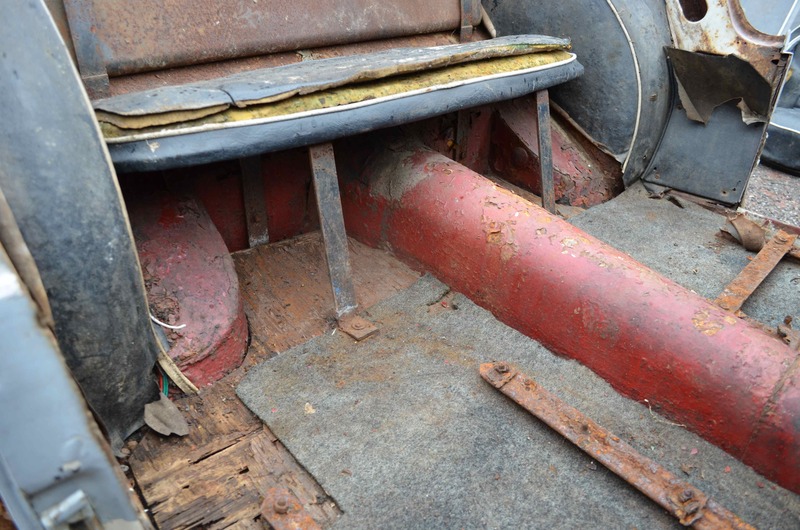 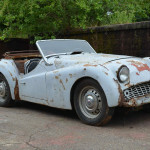 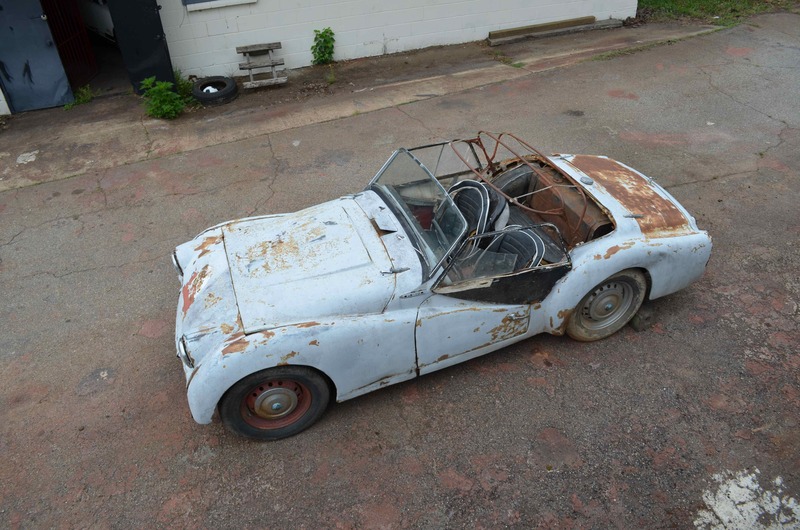 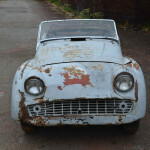 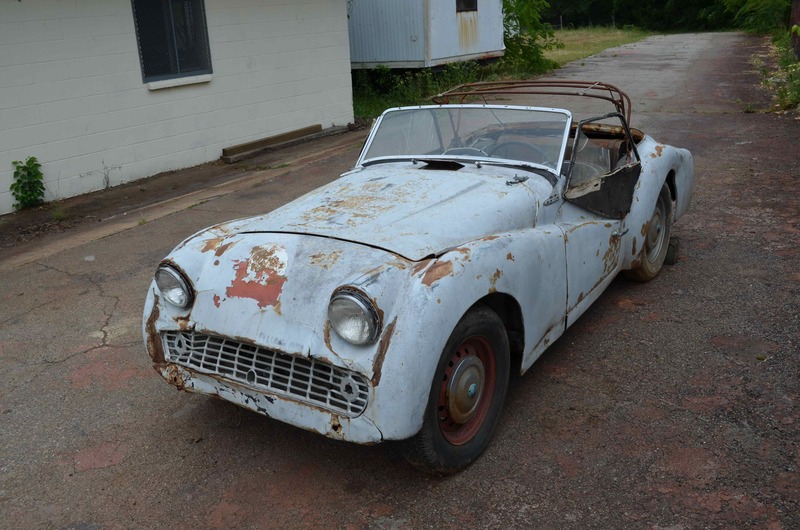 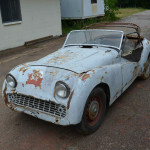 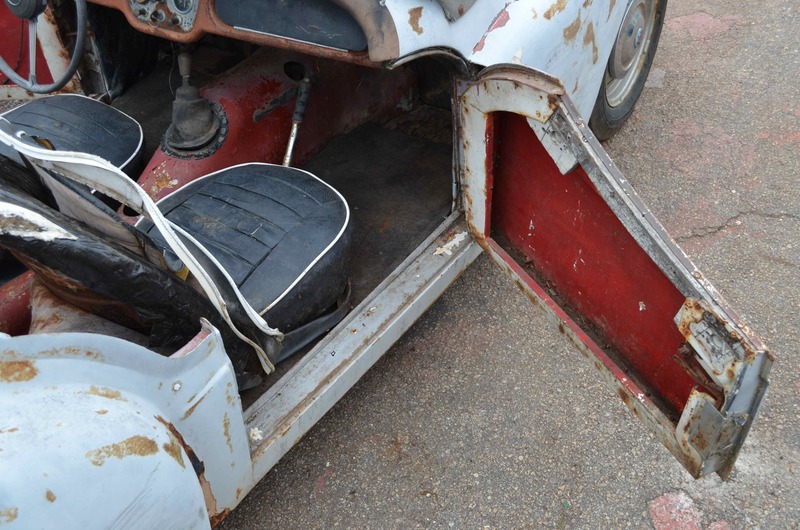 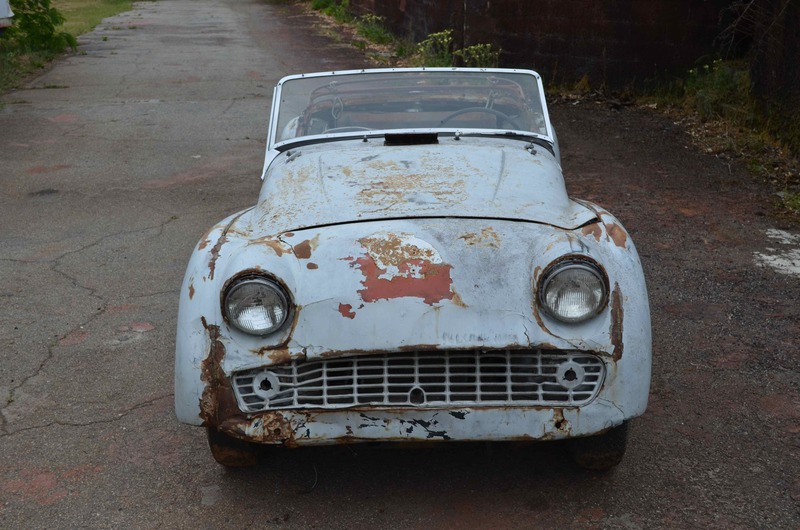 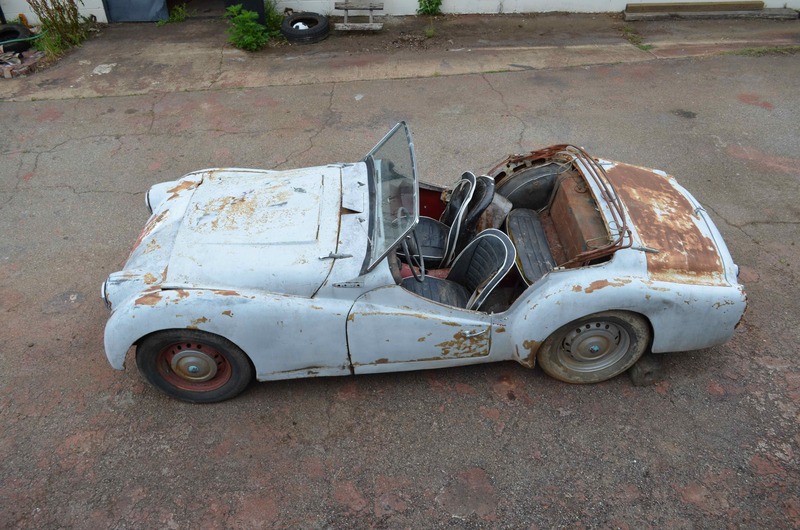 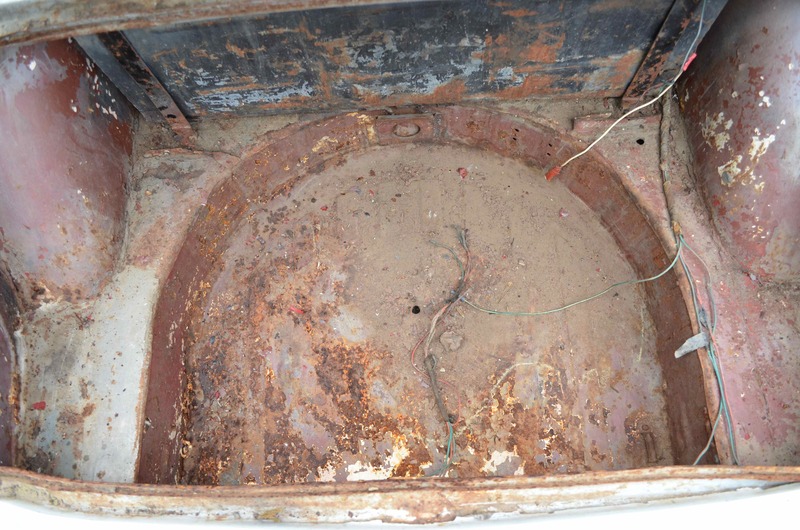 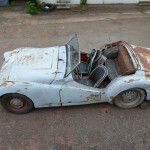 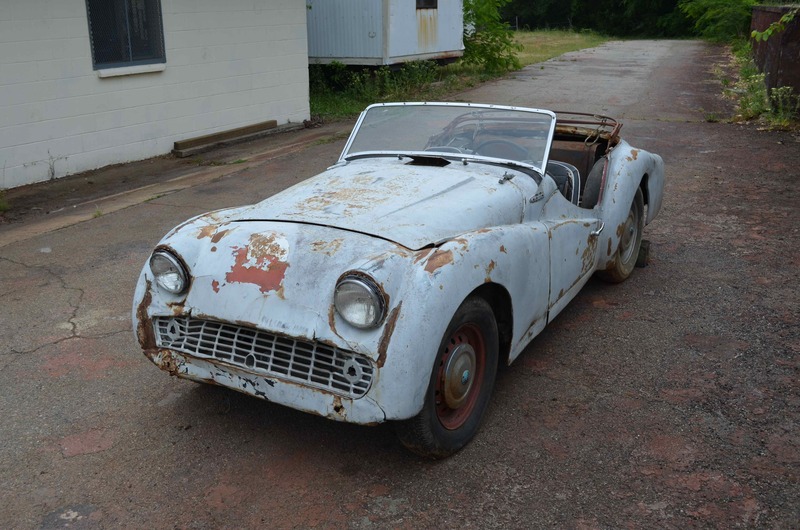 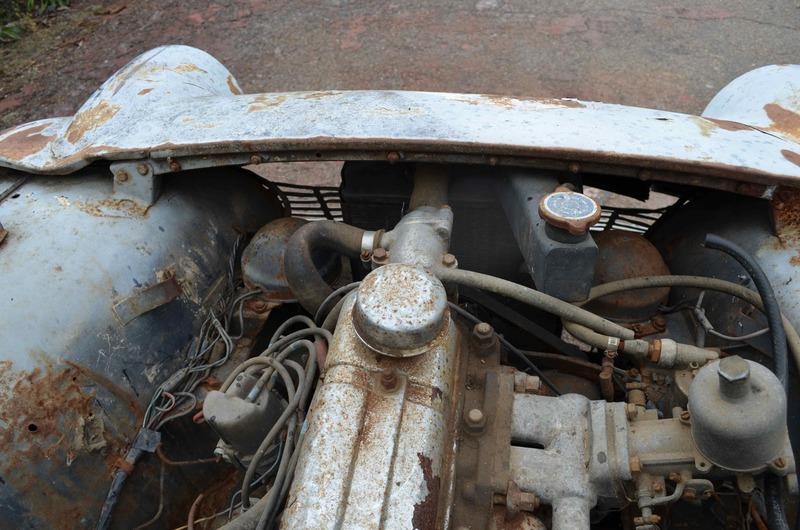 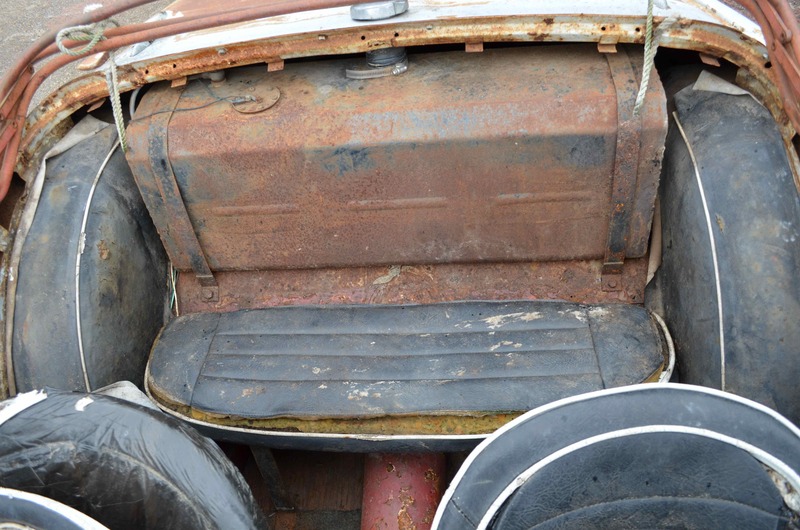 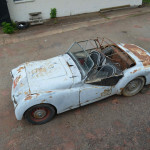 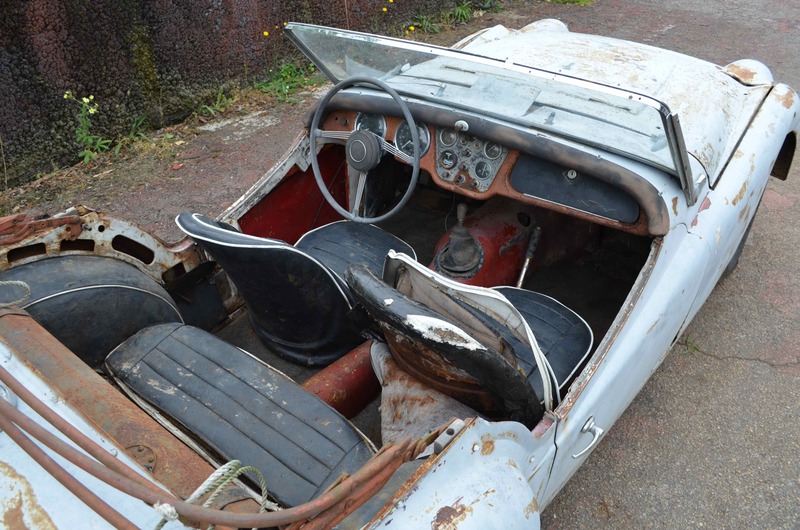 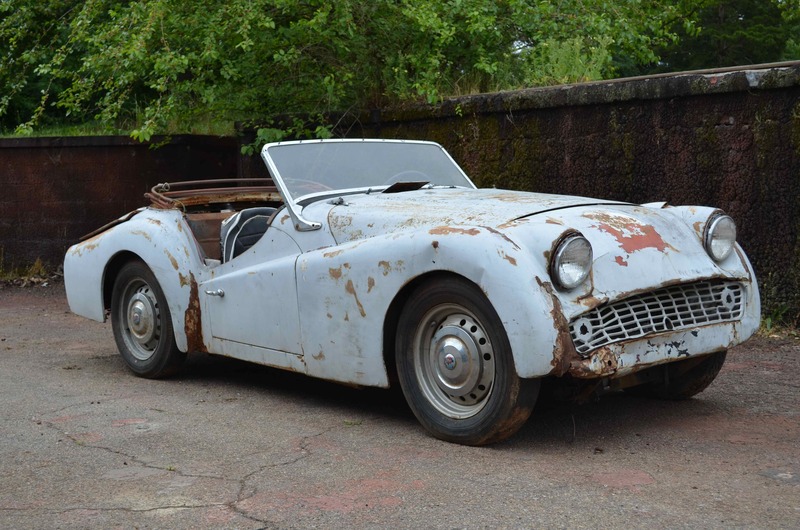 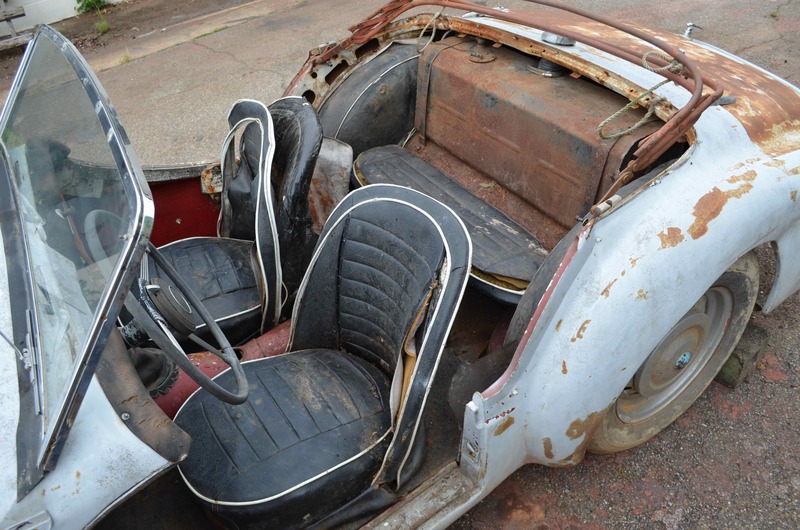 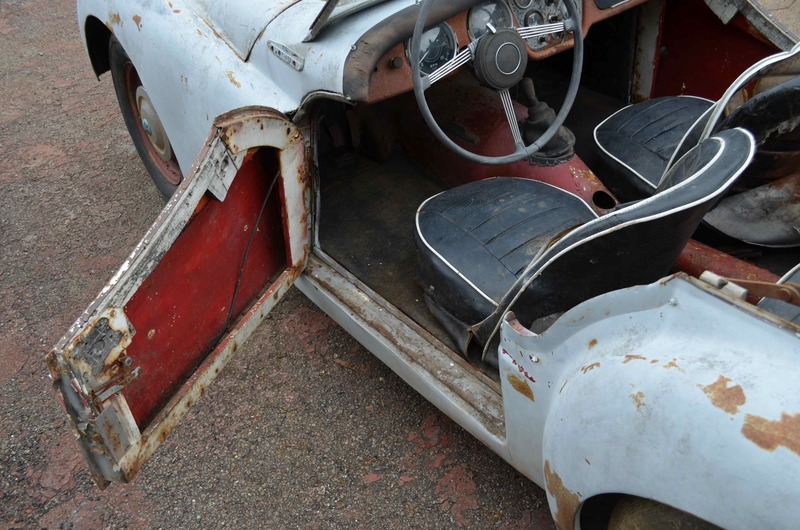 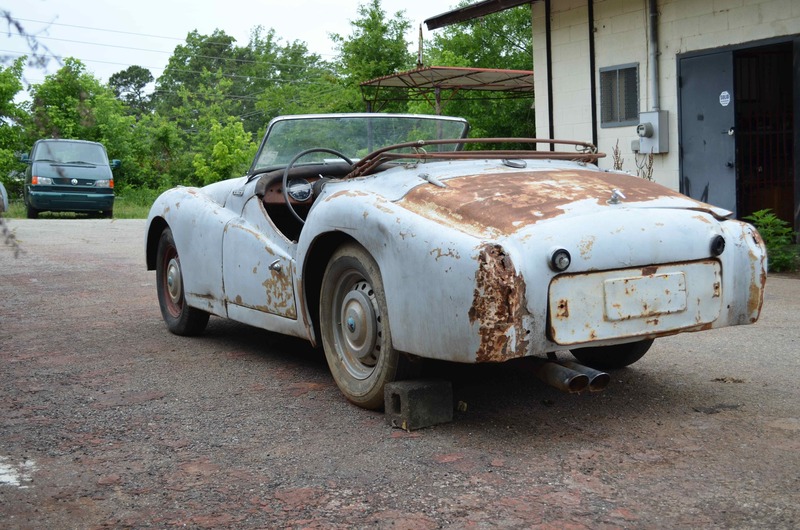 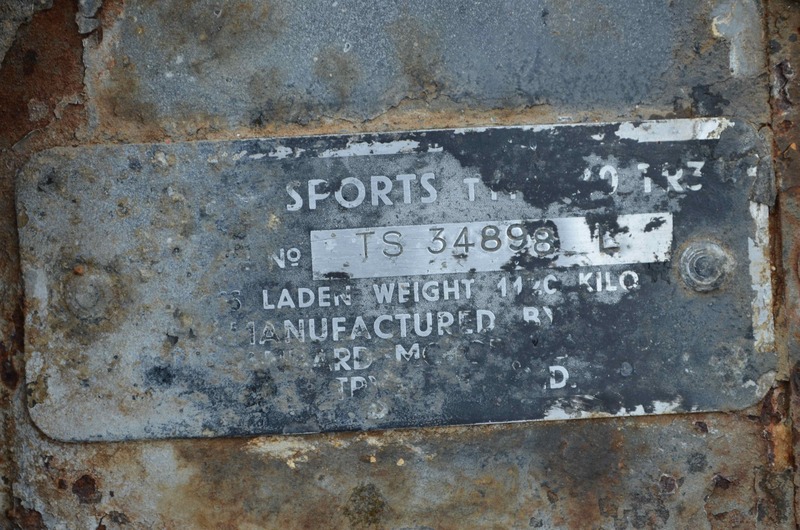 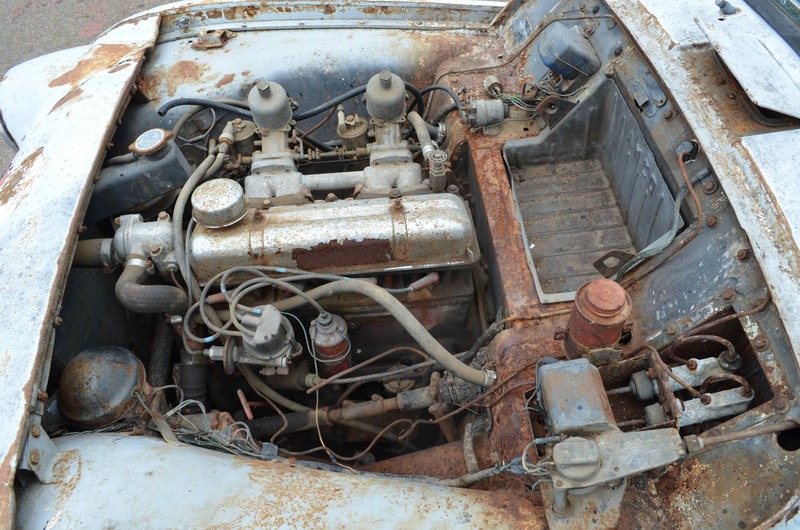 Make no mistake, this TR3 will need a complete restoration but for someone that wants to build a vintage Triumph roadster to their specifications this will make a great starting point. 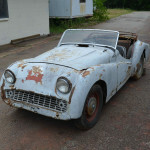 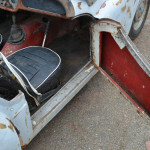 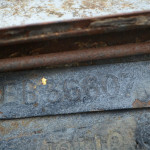 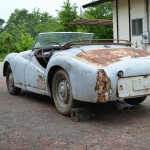 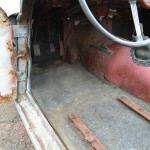 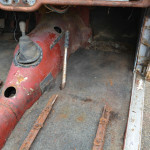 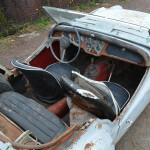 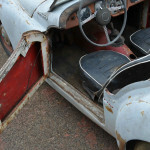 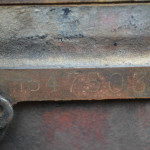 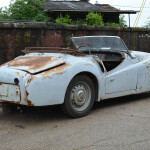 See our eBay store (http://r.ebay.com/lgP8sc) for auctions of additional TR3 parts plus this car’s sister 1958 frame and body. 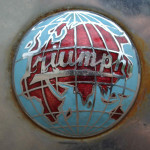 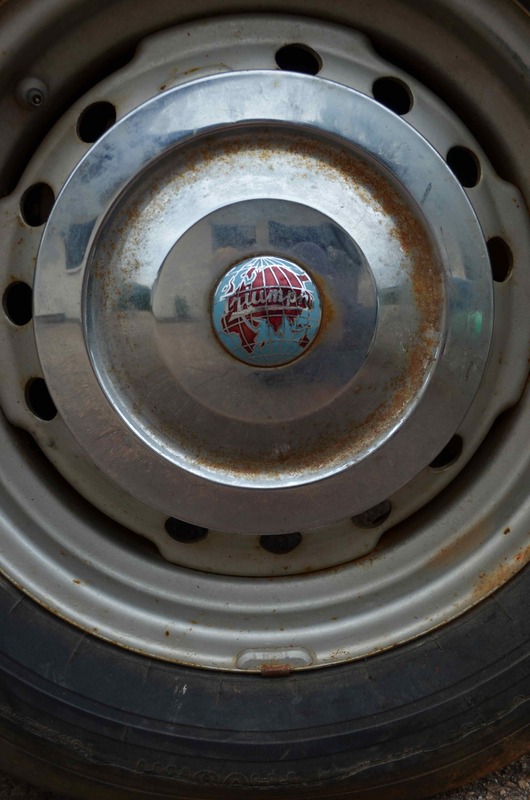 Feel free to email with questions or to come and see the Triumph in person. 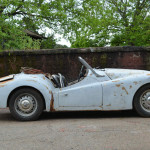 The car is located in Athens, GA and we will be happy to assist with shipping and transportation logistics. 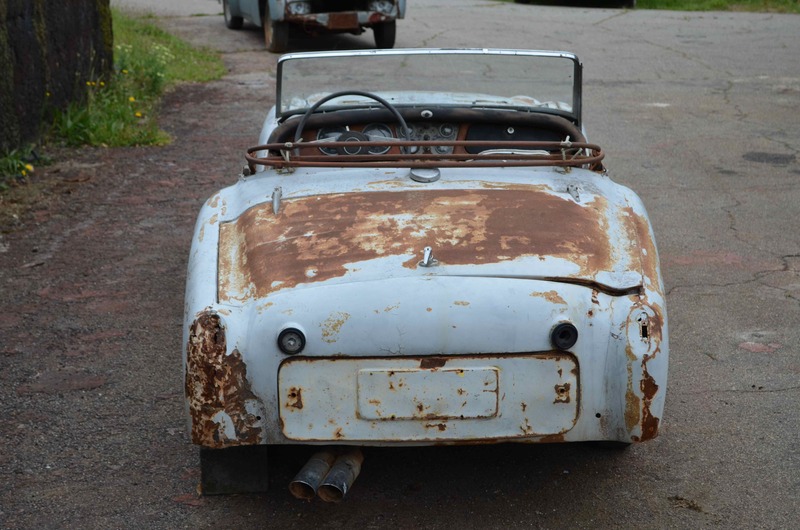 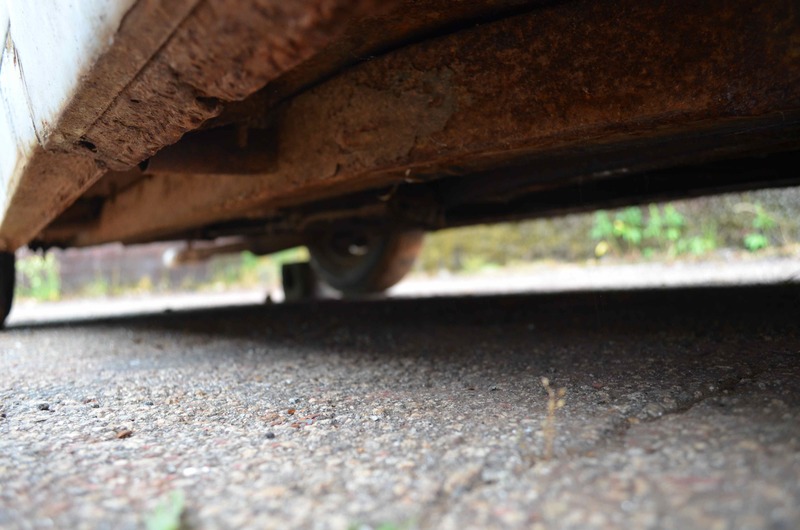 This TR3 will need to be towed but it does roll freely. 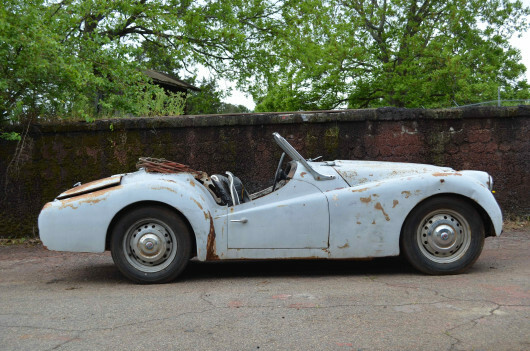 Sold with a Bill of Sale only. 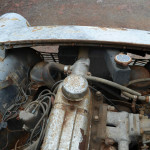 Georgia does not require title for cars older than 1984 so often times the titles go missing for vintage cars. 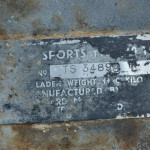 I can provide a letter from the State attesting to this for states or exportation that may require titles.